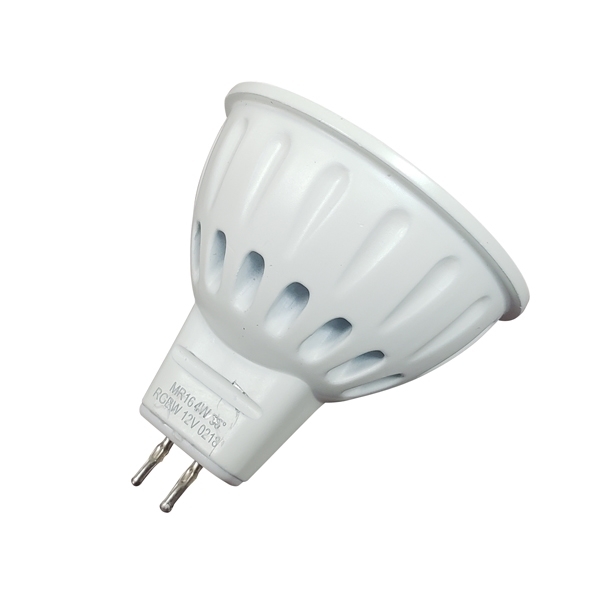 MR16 Color Changing LED Bulb makes it easy to adapt any ordinary MR16 lighting fixture to color changing for a fully customized look. The primary color for this MR16 bulb is warm white. 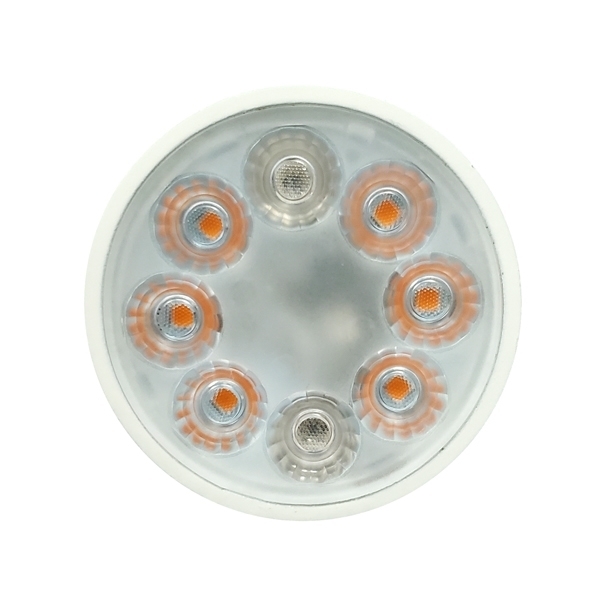 Six dedicated 2700K warm white LEDs can be set at four brightness levels- 110, 180, 270 or 340 lumens. 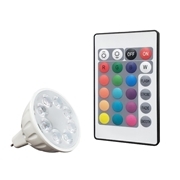 Two color changing LEDs allow choice between 15 different colors with four brightness level for each color. The bulb can be set for a constant color or cycled through all the colors with four different color changing cycles. The bulb is controlled by a single remote (sold separately) which can operate multiple bulbs.